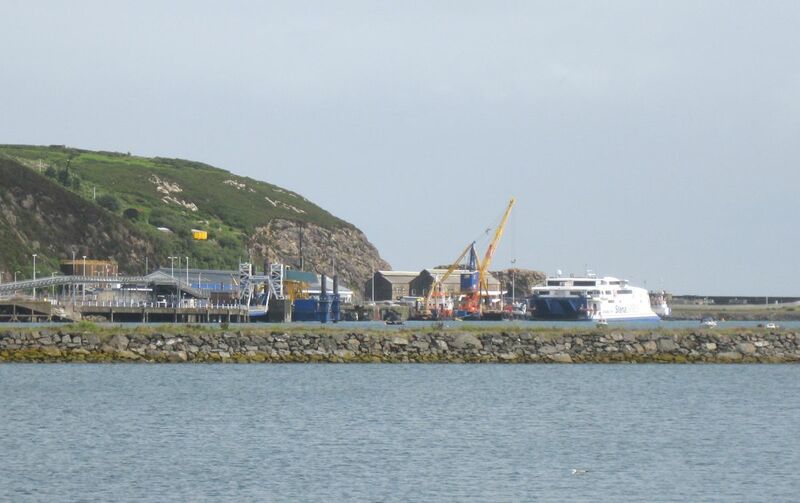 Fishguard is one of the more recently constructed harbours in the United Kingdom. This harbour is noteworthy not only for the magnitude of the engineering work involved in its formation, but also as typifying modern tendencies in the location of an ideal port. When transit on land was slow and difficult it was essential that ports should be as far inland as possible in order that they might form distributing centres. However the development of railways made it clearly more desirable then that ports should be located where they were most accessible to the huge modern liners. Fishguard Bay is situated on the northern coast of Pembrokeshire, south of Cardigan Bay - a place of historic interest as the scene of the last invasion of British soil in 1797, when a French force effected a landing but retired before a body of Welsh militia under Lord Cawdor. In 1893 the Fishguard Bay Railway and Pier Company obtained Parliamentary powers to provide a harbour and run a service of steamers to Rosslare on the Irish coast. Fishguard Bay is a grand expanse of water opening to the north. The distance from east to west is about 3 miles, and from north to south 1¾ miles. Its general depth of water varies from 30 to 70 feet, and it is sheltered on three sides by hills rising to a height of some 300 feet. The point selected for the harbour was on the western side of the bay where the sea washed against the base of precipitous cliffs, and it was necessary to slice away the rock to form a terrace for the harbour station and railway. To render anchorage safe at all times a breakwater had to be thrown out from the shore for a length of 2,000 feet.